Seeing as there is going to be quite a few of these around. 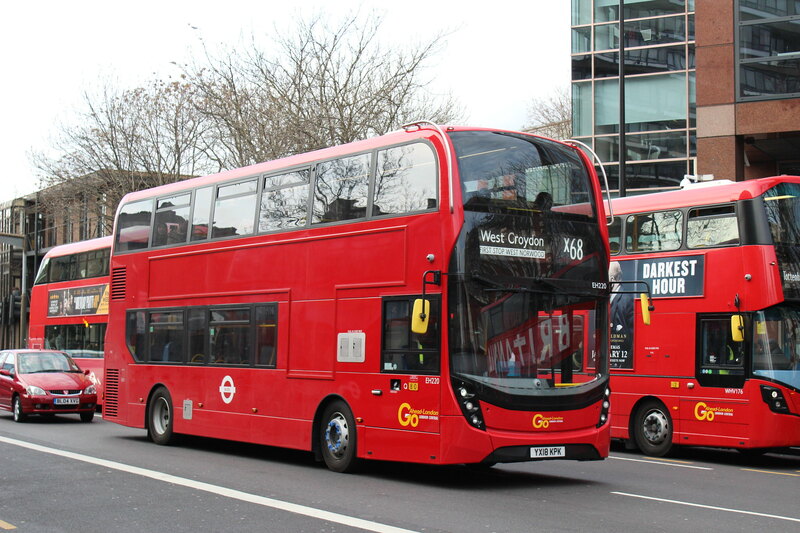 I thought I would start a thread dedicated to buses in the "Poppy Livery"
Tower Transit: DN33776, DN33790 on Route 23. To my surprise it hadn't been yesterday when I saw it on the 179 - just before VLA84, that I was on, mysteriously broke down at a stop where 50+ school kids were waiting. 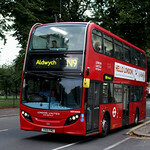 Add Metroline's TE906 to the list of poppy buses. TfL have issued a press release which lists the routes that the poppy liveried buses will run on (see footnote at bottom of release). A S8 and S7 train will each have a special livery. The route 53 poppy bus is out to play today : passed me by very quickly, but I think it may have been the bus ordered to top up route 51 : 10196. WHV12 at Q is the route 12 poppy bus. 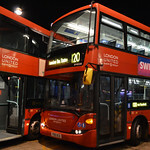 And as you'd expect a grand total of... ...zero buses for London United (and Abellio) have Poppy wrap. 12, 23 (x2), 38, 53, 55, 59, 91(x2) and 211, yet the 94 (a worthy contender) has none. I saw some DLR units with a large poppy on each end, a vinyl around 30cm big on the glass of the emergency door. If the 53 didn't have Poppy Livery I would complain. Of all the routes in London (Terminating at Whitehall Horse Guards, spitting distance from Imperial War Museum, Maritime Greenwich). Interesting list. I saw a TfL tweet yesterday that showed a picture of Leon Daniels and some of the LT Old Comrades with a poppy bus in the background. 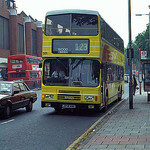 What was interesting was that the bus looked very like a Scania Omnicity. I wonder if it is an old photo from last year given no Scanias have been treated this year.